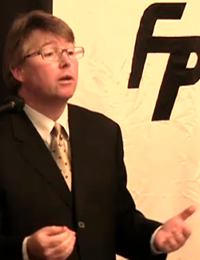 November 21, 2010 – Freedom Party leader Paul McKeever spoke with a “class” of Freedom Party members, supporters, and potential candidates concerning the party’s views on the proper philosophy and role of government. The class was video and audio taped. 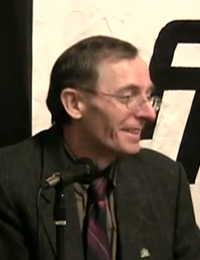 The video can be watched on the Freedom Party International YouTube channel. Titled “Freedom School, Episode 3” the video is divided into four parts. 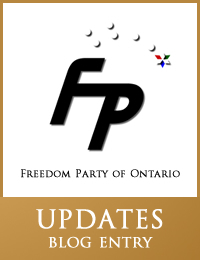 On November 20, 2010, Freedom Party of Ontario held its pre-election “Breaking with Tradition” dinner at the Wellington Room of the Station Park Inn, in London, Ontario. The theme of the dinner was “Breaking with Tradition”. 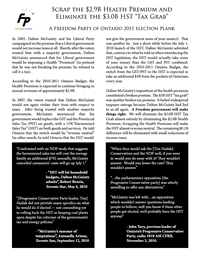 Freedom Party of Ontario’s 2011 Election Plank: Scrap the $2.9B Health Premium and Eliminate the $3.0B HST “Tax Grab”. 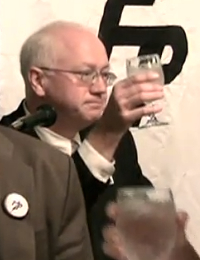 This video was released to promote the party’s 2011 election plank: Scrap the Health Premium and Eliminate the HST Tax Grab. “The HST’s $3B “tax grab” should be eliminated by scrapping the almost $3B Ontario Health Premium. So says a 2011 election plank issued today by Freedom Party of Ontario. 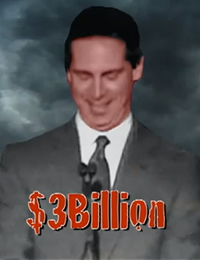 The plank is being promoted with a new pre-election video ad critical of Dalton McGuinty’s two most high profile broken tax promises…” Click here to read the full media release. “Safe, clean, and properly operated medical cannabis dispensaries (also known as “compassion clubs”) should be made a recognized part of Ontario’s health care system. So says a 2011 election plank issued today by Freedom Party of Ontario. The plank is being promoted with a new pre-election video ad…” Click here to read the full media release.